Fundamentally, it is the people I photograph who make the picture. Sometimes, accessories and location take my shoots to the next level of cool. To that end, I photographed the very sweet and very talented Alice Tangerini at the Museum of Natural History where she works. 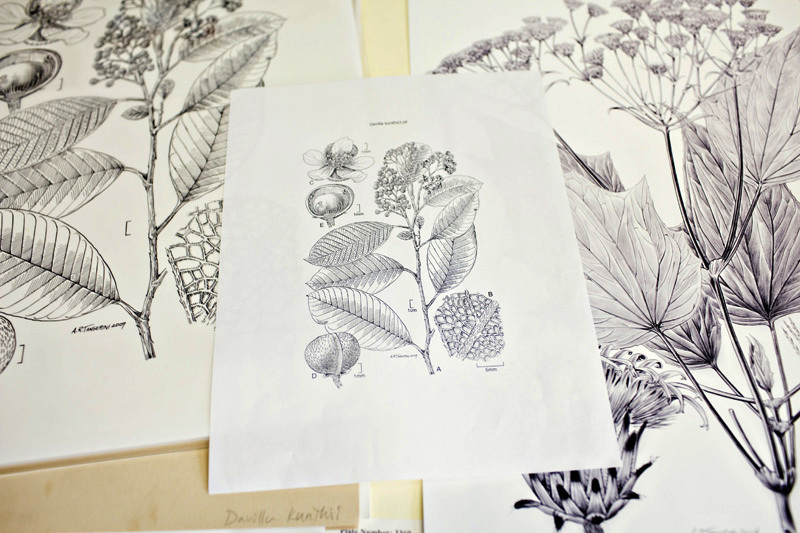 Alice is a botanical illustrator who creates beautiful works of art, not for display, but for science. She works in the finest detail and must rely upon her steady hands and keen eyesight- only her eyesight is not what it used to be. A few years ago, she noticed her normally perfect lines were crooked. She later learned that the hand tends to track the eye and that her right eye suffered from macular pucker, which is scar tissue that forms on the eye’s macula and can blur and distort vision. 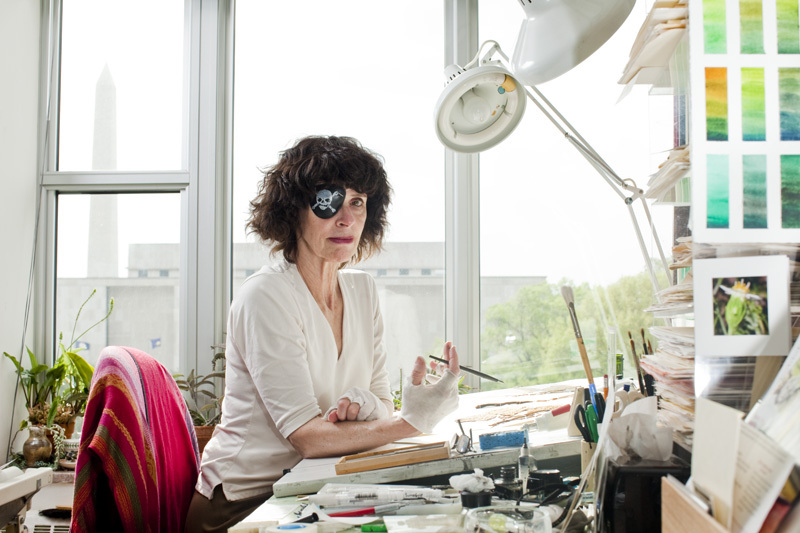 She has since had corrective surgery, but must wear an eye patch over her right eye when she does her ink work in order to keep those lines steady. She certainly could have gone with basic black , but likes the pirate eye patch because it makes light of an otherwise serious situation. Read the story here. 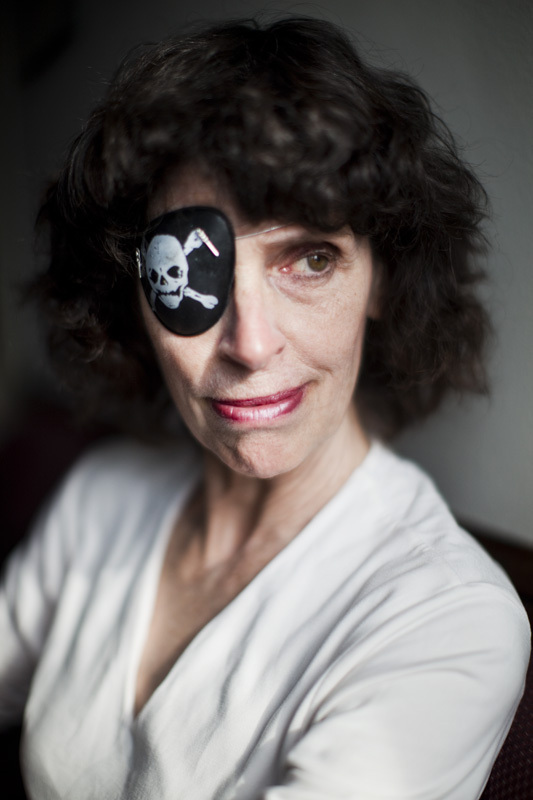 In summation: getting to photograph a talented pirate-eye-patch-wearing woman at work in the back rooms of the Smithsonian’s Museum of Natural History = portrait session bliss. Some of Alice’s work. The detail is incredible and I’m not really doing it justice. Suffice it to say that every line and every dot is drawn by hand. She’s got a pretty great view- that’s the Washington Monument out her window there. Some of Alice’s tools of the trade. 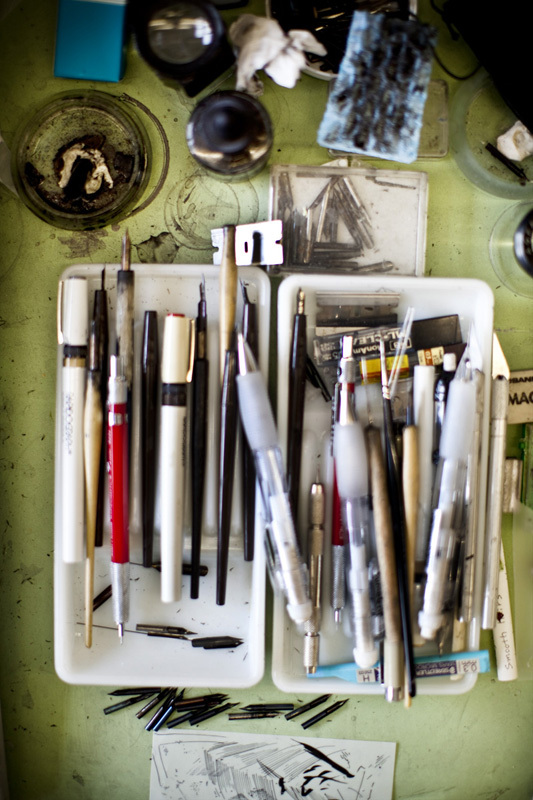 This kind of beautiful ephemera was scattered all over the office and each nib and brush had a special purpose. Posted on 05/17/2010 10/02/2012 by Melissa Golden. 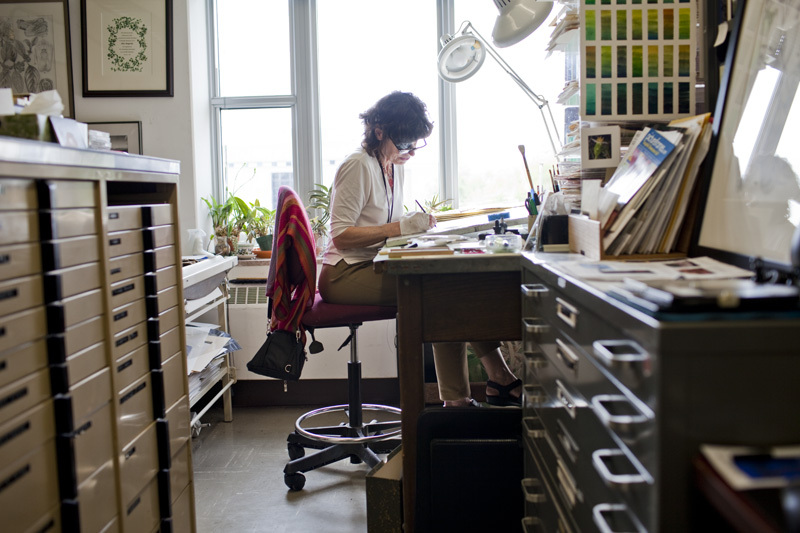 This entry was posted in AARP Bulletin, Feature, On Assignment, Portrait and tagged alice tangerini, artist, botanical illustration, botanical illustrator, DC, eyepatch, macular pucker, museum of natural history, On Assignment, Portrait, smithsonian, tools. Bookmark the permalink.